The 3rd spin-off of Gifting this Wonderful World with Blessings! 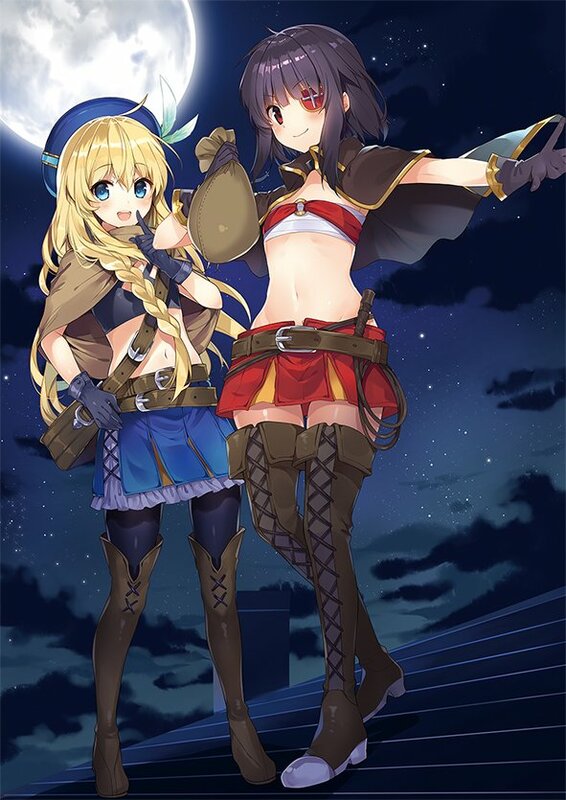 The spin-off focuses on the activities of Megumin, Yunyun, and Alice(?) during the timeframe between volumes 8-9 of the main series. Megumin, inspired by a mysterious masked thief, forms a chivalrous thieving group for the sake of the people! Read Volumes 1-9 of the Main Series, and both of the spin-offs before starting this series.